Granville Stanley Hall, circa 1910. G. Stanley Hall, called the "father" of developmental psychology, is credited with conducting the first systematic studies of children. These involved questionnaires, which unfortunately were not structured in a way as to produce useful data. He was also unsuccessful in research that attempted to show that the child's development recapitulates the evolution of the species. His major contributions to the field are that he taught the first courses in child development, several of his students becoming leading researchers in the field, and he established scientific journals for the publication of child development research. John B. Watson originated the Behaviorist approach to psychology at the beginning of the twentieth century. He believed, based on Locke's environmentalist position, that human behavior can be understood in terms of experiences and learning. Determined that experimental psychology follow the scientific method he rejected the introspective approach, which attempted to understand internal mental experiences based on self-reports, and called instead for objective study of observable, measurable behaviors. Watson's 1928 book, Psychological Care of the Infant and Child, presented his view that all behavior is the product of environment and experience with no important contribution by biological factors, and that all learning takes place through a process of association or "conditioning, " as proposed by Ivan Pavlov. Sigmund Freud's model of "psychosexual development" grew out of his psychoanalytic approach to human personality and psychopathology. In sharp contrast to the objective approach espoused by Watson, Freud based his model of child development on his own and his patients' recollections of their childhood. He developed a stage model of development in which the libido, or sexual energy, of the child focuses on different "zones" or areas of the body as the child grows to adulthood. 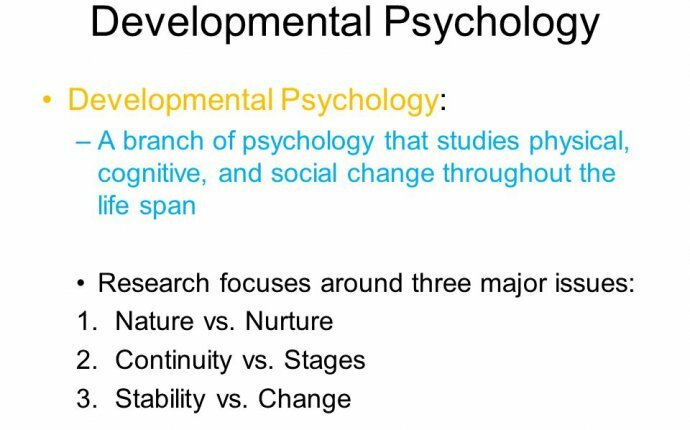 Freud's model is an "interactionist" one, since he believed that although the sequence and timing of these stages is biologically determined, successful personality development depends on the experiences the child has during each stage. Although the details of Freud's developmental theory have been widely criticized, his emphasis on the importance of early childhood experiences, prior to five years of age, has had a lasting impact. Arnold Gesell, a student of G. Stanley Hall, carried out the first large-scale detailed study of children's behavior. His research revealed consistent patterns of development, supporting his view that human development depends on biological "maturation, " with the environment providing only minor variations in the age at which a skill might emerge but never affecting the sequence or pattern. Gesell's research produced norms, such as the order and the normal age range in which a variety of early behaviors such as sitting, crawling, and walking emerge. In conducting his studies, Gesell developed sophisticated observational techniques, including one-way viewing screens and recording methods that did not disturb the child. Jean Piaget is considered one of the most influential psychologists of the twentieth century, and his stage theory of cognitive development revolutionized our view of children's thinking and learning. His work inspired more research than any other theorist, and many of his concepts are still foundational to developmental psychology. His interest lay in children's knowledge, their thinking, and the qualitative differences in their thinking as it develops. Although he called his field "genetic epistemology, " stressing the role of biological determinism, he also assigned great importance to experience. In his view, children "construct" their knowledge through processes of "assimilation, " in which they evaluate and try to understand new information, based on their existing knowledge of the world, and "accommodation, " in which they expand and modify their cognitive structures based on new experiences. Special methods are required to study infant behavior. When studying infants, a method often used to assess their performance is habituation methodology. This allows researchers to obtain information about what types of stimuli an infant is able to discriminate. Infants are habituated to a particular stimulus and are then tested using different stimuli to evaluate discrimination. The critical measure in habituation is the infants' level of interest. Several measures can be used to measure infants' preference. These include the high-amplitude sucking procedure, in which infants' level of sucking on a pacifier varies depending on their level of interest, the conditioned foot-kick procedure, in which infants move their legs to indicate preference, and the head-turn preference procedure, in which infants level of interest is measured by the amount of time spent looking in a particular direction. A key feature of all these methods is that the infant controls the stimuli being presented. Typically, infants prefer stimuli that are novel relative to those they have encountered previously, and therefore their responses to a stimulus recognized as novel is measurably distinct from their responses to those to which they have already habituated. This gives researchers a means of measuring discrimination. If an infant is able to discriminate between the habituated stimulus and a novel stimulus, they will show a preference for the novel stimulus. If, however, the infant cannot discriminate between the two stimuli, they will not show a preference for one over the other.